Posted April 18, 2017 by production & filed under Weddings. Every couple has a proposal story. Some go thousands of miles for the picture-perfect shot. Some have the shot framed with friends and family present. 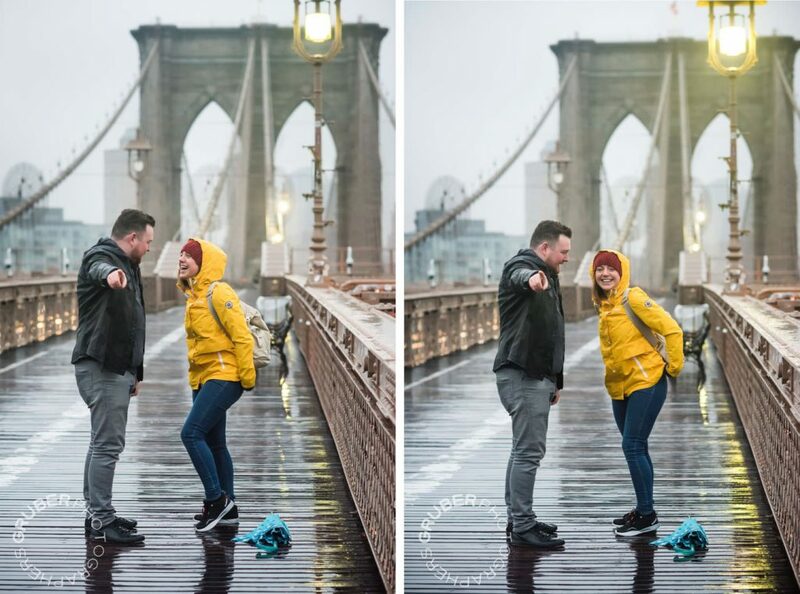 We have the story of two perfect proposals and the approach Gruber Photographers’ very own Maike took to capture the happy moment. In this post we’ll take a look at our first couple, Craig & Billie, who traveled all the way from the United Kingdom. Craig worked with Maike transcontinentally (a 6-hour time difference!) 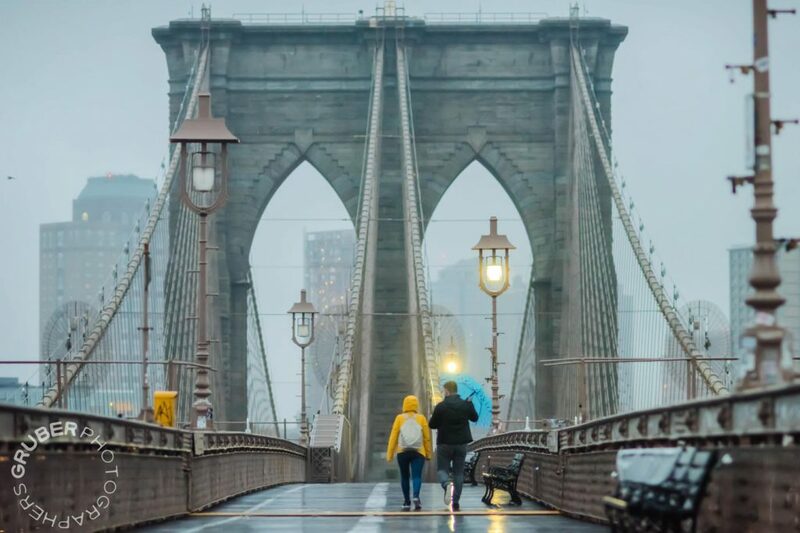 in secret, working on the proposal via WhatsApp and going over everything he was planning for his 6:41 AM sunrise proposal on the Brooklyn Bridge…. where Maike should remain incognito until after he proposes. There are a lot of variables and uncontrollables when shooting in a public area: the two most notable ones being: people and weather. Craig’s desire for a sunrise shoot, helped alleviate the people problem. 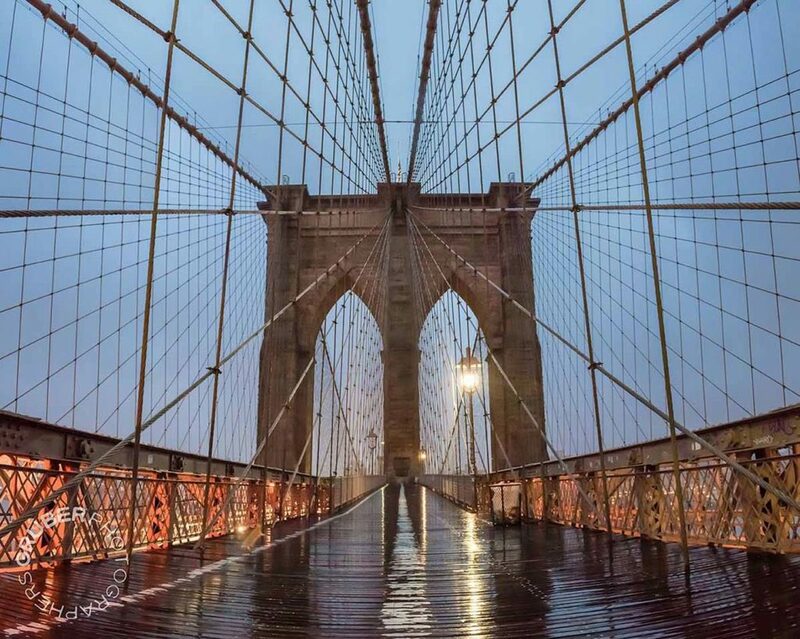 Maike arrived when it was still dark at 6:20 AM and took some pre-dawn shoots of the bridge. With every passing minute, it got a little lighter. Save for a few early morning joggers, Craig and Billie would have the bridge to themselves. The temperature was a chilly 40ºF and Maike wore foul weather gear. 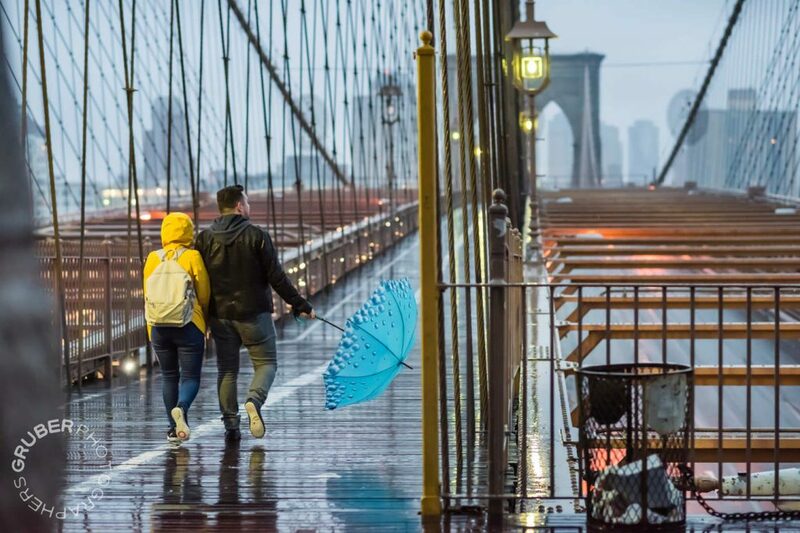 There’s nowhere to hide on the Brooklyn Bridge, so to stay incognito, Maike brought a human shield—her own husband, Theo. He came along to pretend as if they were doing some early morning shots of their own. She had assured Craig that she would be at a specific point on the bridge so that he could see her when they started walking on. It was 15 minutes past sunrise and there were no texts from Craig. The couple was nowhere to be seen—both Maike and Theo thought they weren’t coming. Then, suddenly a man and a woman appeared. It was Craig and Billie. 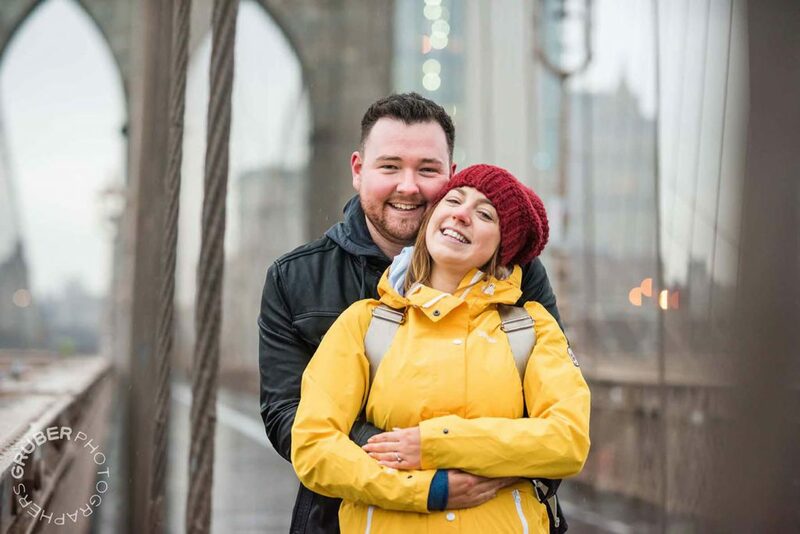 Maike used her husband as a pretend tourist and she shot in the direction of her husband, but she was, in actuality, shooting Craig and Billie from afar. 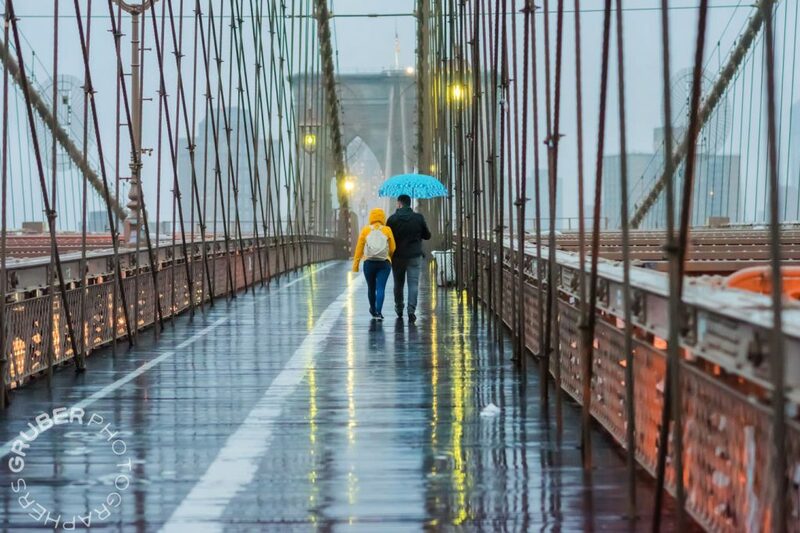 No people, no problem—but ultimately, the rain and wind were heavy that day. 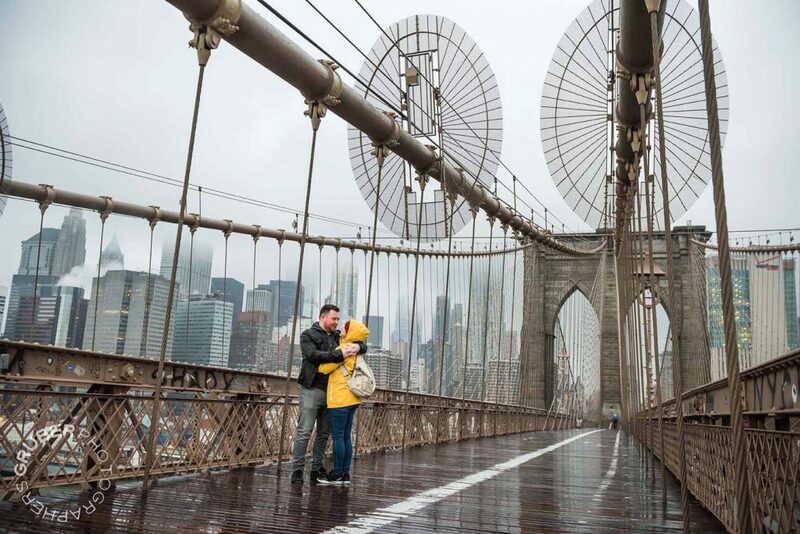 Maike had discussed what to do with Craig in this event—it would happen rain or shine as both families had flown into NYC and would be waiting for the newly engaged couple at a surprise location in a few hours. As with any photography assignment, there’s a serious amount of preplanning. Usually, the planning goes on with the team, but in this case, Maike’s planning was primarily with Craig. Her approach is collaborative and attentive. She asked Craig questions to encourage him to delve deeper and really think about what he’s going to do. She helps paint a picture for how it’ll happen so that she can be on the same page with his expectations. 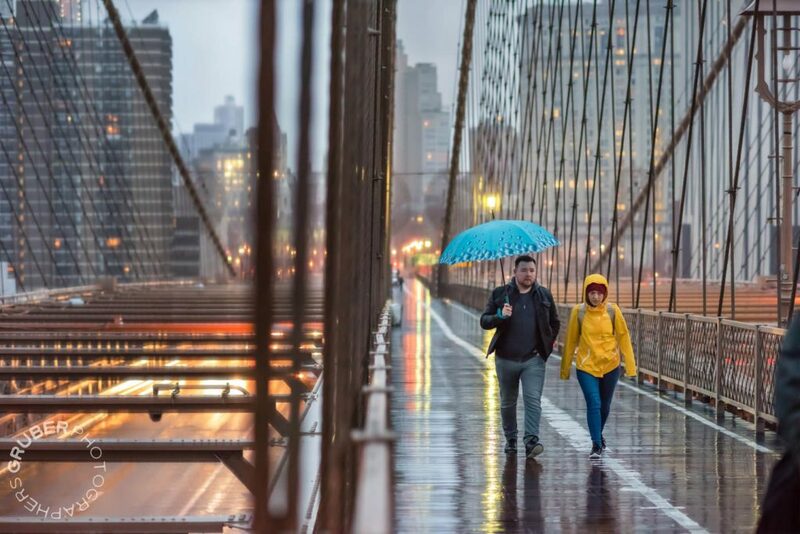 As Maike pretended to take photos of her husband, she saw the moment when the umbrella dropped. Based on their communication, she knew what was going on in his head. She rushed over and started snapping shots of them. They were facing away from the footpath and were focused on each other. She passed them, and, again with her husband as the prop, started shooting them, capturing their once-in-a-lifetime moment. Soon after, Craig revealed Maike as his candid proposal photographer and she did a short, fun impromptu photoshoot with the just-engaged-couple in their post-proposal rapture. Maike’s approach is still important here—she puts the couple first. 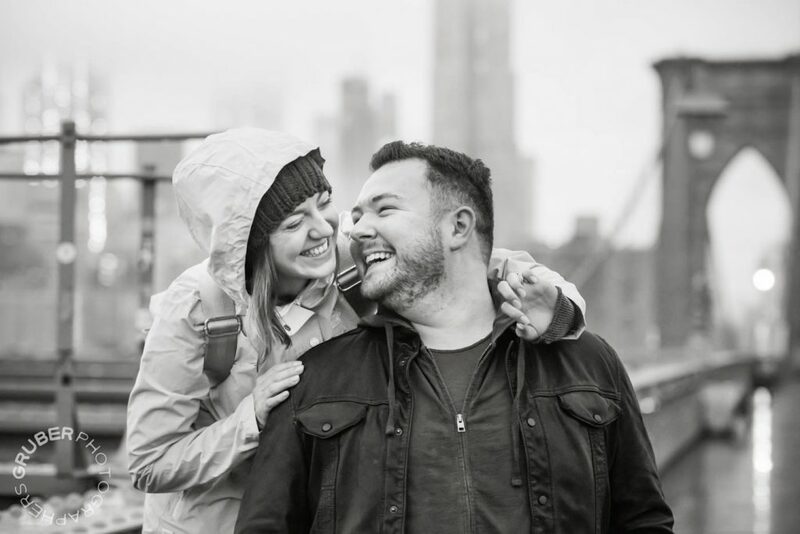 “It was still their first moment together after the proposal, but I was a part of it at that moment.” Based on her experience with prior proposals she guided them to get the best shots that would add to their proposal story… a story they would tell their friends and family! A proposal is one of the most nerve-wracking moments of a man’s life. And especially during a proposal like this it helped that he didn’t have to go at it alone. Maike was like a guiding force, making sure that she was there to help him, even if she wasn’t right there with him. We’ll be back soon with our second part of A Tale of Two Proposals… To be continued!